If you are a nurse, social worker, case manager, or discharge planner for a hospital or facility the goal is to prepare the patient and their family members for a safe and successful transition home. Some discharges prove more challenging than others. However, all of them have one thing in common, the need for a great discharge plan. A great discharge plan plays a crucial role in patient long-term health and success in their goal to age in place. The transition from a hospital or facility to the home can be an intimidating event for patients and their families. Many families express the intention and desire to care for their loved one using family caregivers. Here are three reasons why families believe they will not be hiring home care and why you should include it in the discharge plan anyway. When a loved one has a major health event, their health can decline quickly from that point. Often times it takes the family some time to catch up. Patient families want to believe once their loved one is discharged from the hospital or facility they are eventually going to get back to their old self. When this does not end up happening they are left unprepared and unable to carry the caregiving load on their own. Include home care in the discharge plan. Many families believe hiring a private caregiver is not within their financial abilities. In 2014 over 52 million families in the United States struggled to afford home care for an aging loved one. This is where HomeHero can help. HomeHero is a unique platform where families can find care for their loved one within their budget. We have made it our mission to make home care affordable. With no hour minimums for care and no long-term contracts normally required by traditional agencies, HomeHero can be there to support the family in their time of need and maximize the hours of care they can afford. Include home care in the discharge plan. They call it the sandwich generation, those in their 30’s, 40’s, and 50’s not only caring for their children, but caring for their parents as well. 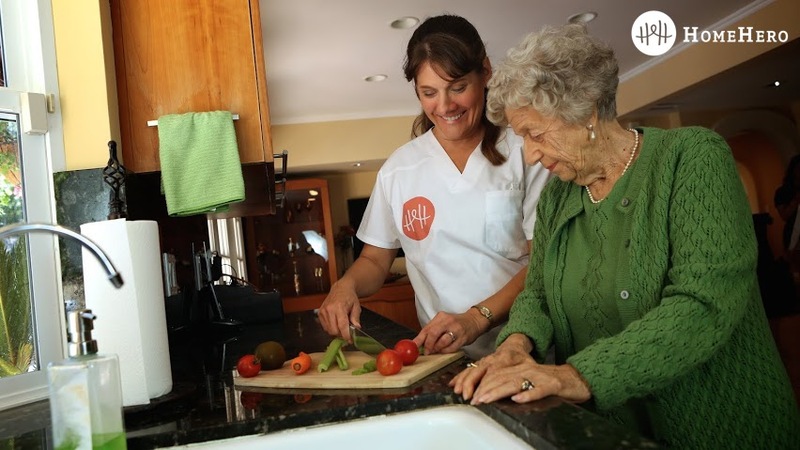 Juggling both of these roles can often affect the health of the caregiver. When the responsibilities of caregiving become too emotionally and physically exhausting a caregiver will experience caregiver burnout. When this happens they will need to hire home care for support. Include home care in the discharge plan. Whether the family knows it or not, odds are they are going to need caregiving support at some point down the road. This is why providing families with home care information and educating them about their options is crucial to creating a great discharge plan. If families are prepared with home care information they will be much better equipped for long-term health and success at home.